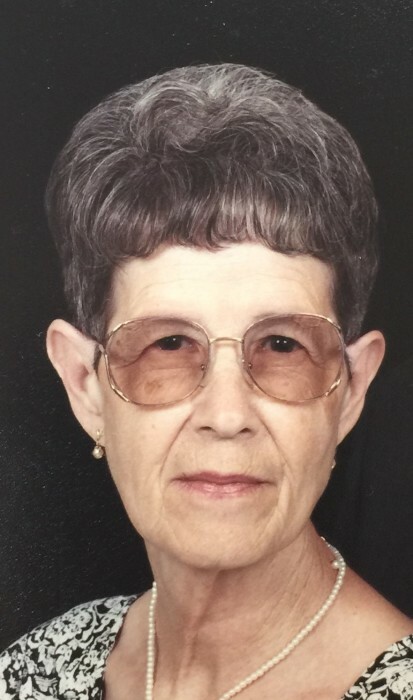 Hazel Sanders Bollinger, 85, of Kings Mountain, NC, passed away on November 18, 2018 at Testa Hospice House in Kings Mountain, NC. She was born in Cleveland County, NC, to the late Simon James Sanders and Effie Peterson and was preceded in death by her husband of 65 years, Grayton (Stretch) Bollinger. She was also preceded in death by her brothers, Boyce, Billy Gene and Earl (Bud) Sanders, her sisters, Lilly Melton, Lois Hayes and Beatrice Peterson and a grandson, Shane Huffstickler. Hazel was a faithful and devoted christian of the Baptist faith. She enjoyed gardening and canning what she had grown. Hazel was a loving wife, mother, grandmother and great grandmother. She was devoted to her family above all else. She loved being around, and taking care of her grandchildren. Hazel was a wonderful cook and enjoyed cooking for and feeding her family. She will be missed dearly by her loving family and friends. VISITATION: Wednesday, November 21, 2018 from 12:00 PM to 2:00 PM prior to the service at Harris Funeral Home.